Polarized or Tinted – What’s the Difference? By definition, polarized lenses are also “tinted,” as they provide shade, thus reducing the impact of direct light, as opposed to simply clear lenses like you may have in your everyday eyeglasses. Protecting your eyes from the effects of bright sunlight is essential, and to some degree, any tinted lens will do the trick. The difference is, polarized lenses are specifically engineered to reduce sun glare. When sunlight reflects off of a flat surface like water or snow, it creates a glare which is significantly more intense than the sunlight we normally see. This glare obstructs your ability to see, and hurts your eyes if you look at it. Polarized lenses are designed specifically to filter the intense light of glare so that you can see with far greater precision and clarity. Tinted sunglasses alone do provide shade, which in many day-to-day situations can increase visibility, depth perception, and clarity, but for anyone out there skiing, fishing, engaging in water sports, extreme sports, or spending a lot of time driving, glare is the real hazard and that’s where polarized lenses really shine. Both polarized and generic tinted lenses come in a variety of color tones including black, blue, gray, yellow, and amber. Some of these may work better in brighter light than others, i.e. yellow lenses are best for lower light days, while grays and ambers work better in brighter light. While most polarized lenses generally provide a reasonable amount of protection from the sun’s ultraviolet rays, “polarized” and “UV protection” are not simply interchangeable terms. 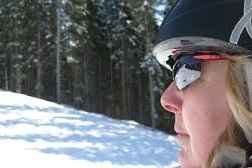 UV protection matters in a different, but overlapping way to glare protection. Too much exposure to the sun’s UV rays can cause significant eye damage including cataracts, macular degeneration, and even sunburns on your cornea. The intensity of the sun’s UV rays are increased in glare. Polarized, tinted, even prescription sunglasses can all specifically provide UV protection, you’ll just want to make sure that’s what you’re getting if that’s what you’re looking for. 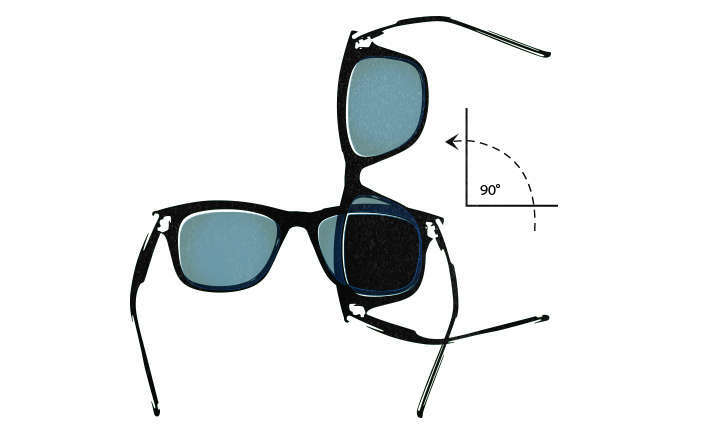 I recently stumbled upon this simple trick to determine if your sunglass lenses are actually polarized. Still unsure? Ask the opticians at Berlin Optical Expressions to show you the difference!